A non-toxic and environmentally friendly concentrated washing power which is also kind to skin and effective on washing. 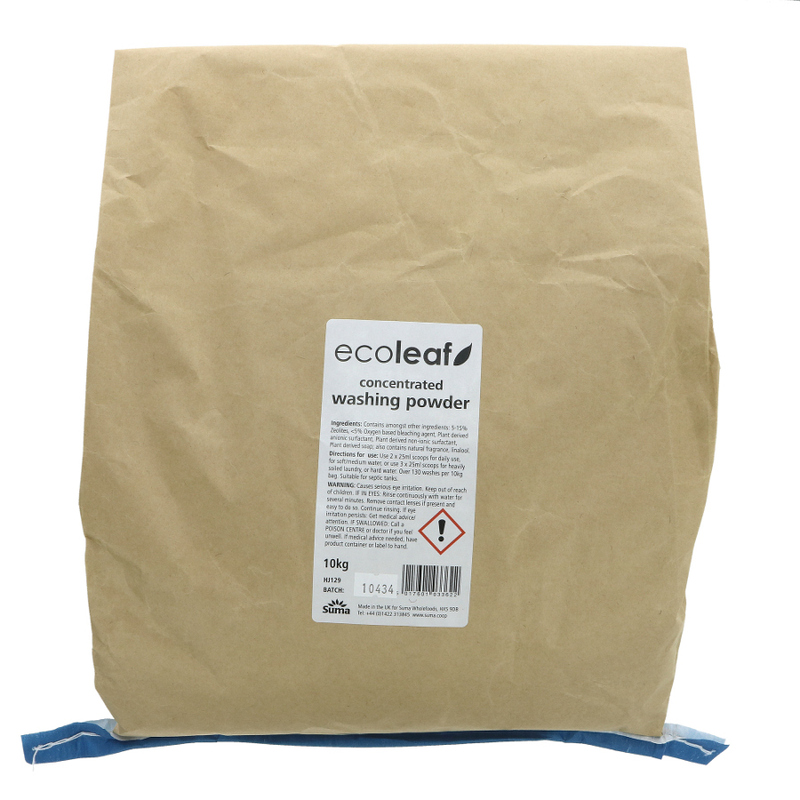 This 10kg washing power is ideal for refilling smaller tubs. The packing is recyclable and produced in the UK. The Ecoleaf Concentrated Washing Powder - 10kg product ethics are indicated below. To learn more about these product ethics and to see related products, follow the links below. The powder did not easily feed through into the machine but this was overcome by feeding direct into the drum. Q: Is this a non-bio washing powder? A: Hi there, Many thanks for your query. Yes, this is non-bio washing powder. I hope this helps.